The construction services, operation services, and finance income growth boosted the earnings. China Everbright Water Limited’s profit for the full year 2017 surged by 47% year-on-year (yoy) to $86m, which was pushed by increase earnings from its construction services, operation services, and finance income. Everbright Water secured 14 new projects in 2017 with a total worth of $1.2b and contributed an additional daily designed waste water treatment capacity of 140,000 m³ and daily water supply capacity of 370,000 m³. The company also commenced 11 construction projects last year and 14 projects completing construction. In addition, the company received approvals from the Shanghai Stock Exchange and the China Securities Regulatory Commission to issue corporate bonds of up to RMB2.5 billion in aggregate principal amount in single or multiple tranches to qualified investors in China. The company issued the initial tranche of the bonds in July 2017, with a principal amount of RMB1b and a coupon rate of 4.55% for a five-year maturity. “The year of 2017 marked with steady growth at Everbright Water. 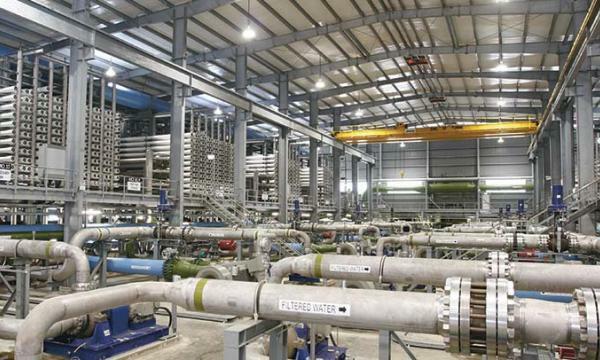 The Company maintained a good development momentum, with notable improvement in the scale and quality of its operation and management,” said An Xuesong, executive director and CEO of Everbright Water, in a press release.